Chinese smartphone manufacturer LeEco have just launched their two new Smart phones in India, The LeEco Le 2 and the LeEco Le Max 2. Both the devices are pretty similar. We cannot tell the Le 2 and Le Max 2 in terms of their Design. These devices feature a new audio standard called CDLA (Continual Digital Lossless Audio) and skip on the 3.5mm audio jack to deliver lossless audio to the users via the USB Type-C port. LeEco Le 2 have a metal uni-body design. It sports a 5.5-inch full HD display with ~401PPI pixel density. Le 2 offers really good viewing angles and posses a very sharp display. Le 2 runs on a Qualcomm Snapdragon 652 octa-core Processor clocked at 1.8GHz. The company also claims that the processor out-performs Apple's A8 processor. Le 2 comes with a 3GB of RAM and 32 GB of internal storage. Le 2 doesn't support expandable storage. This devices comes with a 16 MP rear shooter and a 8MP front shooter. Rear camera can record videos upto 4k resolution and supports slo-mo recording at 720p. This device boost a 3,000 mAh battery and supports Quick charge 3.0. Company claims to get over 50% charge in 30 minutes and 100% charge in less than 90 minutes. 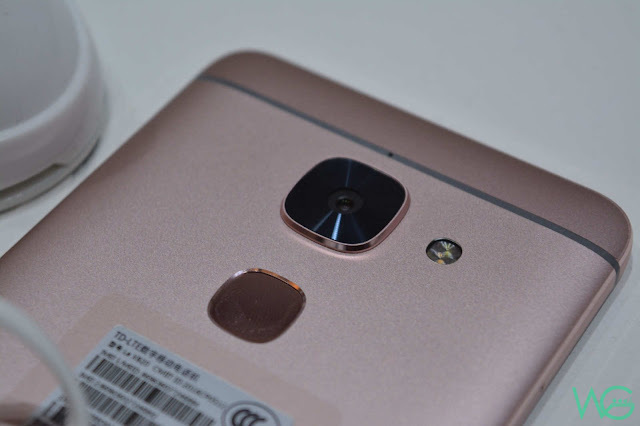 Le 2 comes with Finger sensor on the back side below the rear camera. Fingerprint sensor seems to be so faster and responds quickly. When the device is locked there is no need to click the power button to wake up the device and scan the finger to unlock. we can directly scan our finger to unlock the device which is a very cool feature. 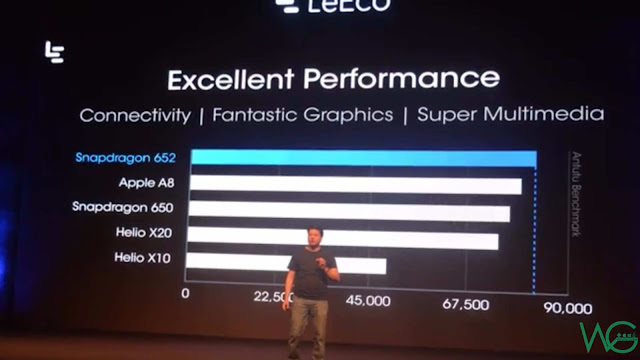 Here is a video which may give you a brief information about LeEco Le 2. Le 2 runs on LeEco's EUI user-interface which runs on Android Marshmallow. In terms of connectivity, the smartphone comes dual SIM card slot, Wi-fi 802.11ac MU-MIMO, Bluetooth 4.1, USB Type-C port. The Le 2 has been priced at Rs 11,999 and it will officially will be kept on sale in Flipkart as well as LeEco's own Online shopping portal Leemall.